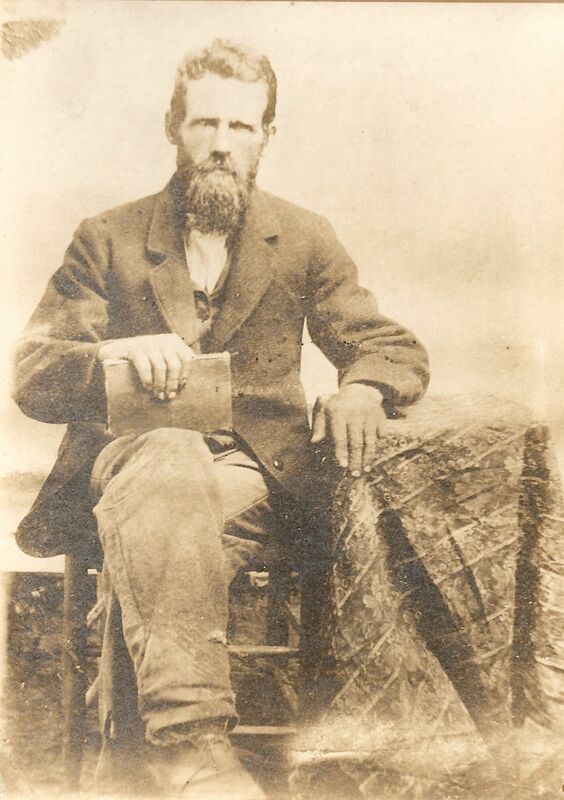 This is a picture of my great great grandfather, Charles Henry Martin. He was the father of my great grandmother, Martha (Mattie) Martin Cayse, my dad’s maternal grandmother. I don’t know much about his background, except that census records show he was New Hampshire, and his Civil War Records show he enlisted at Paducah, Ky., for one year as a waggoner with the 6th Kentucky Union Cavalry for one year. I don’t know how he got from New Hampshire from Kentucky, but I do know that after the war he married Lucinda Walden and they settled first in Rockcastle County, Ky., then in Garrard County, Kentucky, where he died in 1892. He is listed in the 1890 Pension census of Union Civil War veterans. This picture was sent to me by a family member of his grandson, James Morris Martin, and it has his name written on the back as indentification.